Towering over 2 feet tall, the Interceptor delivers excellent flight performance on B and C engines. When launched on the recommended C engine, blast this gorgeous rocket to heights of more than 525 feet into the air. Be the hit at your launch site and get your Interceptor today! Envisioned by Estes designers to be operational by 2050, the Estes “Interceptor” is an ultra-sophisticated rocket that could patrol our galaxy for possible aggression by hostile aliens. Highly advanced defense systems, which includes photon and laser armaments as well as ION drive for extended tours around the Milky Way only enhance the rocket! This kit returns with quality features Estes is known for like laser cut balsa parts, two full color waterslide decals and detailed plastic parts including the nose cone, wing pods and tail cone. When properly outfitted for launch, flights over 500 feet are possible with a soft landing on a colorful 18” parachute. The futuristic looking Interceptor is sure to be the envy of everyone at the launch site. 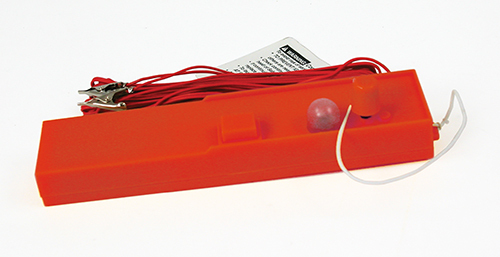 i am 48 years old/bought one when i was 11 still have it going to buy another one……………….. This rocket is cool. It is a little bt challenging to build but not to hard. It looks incredably realistic. It looks just like a space plane. 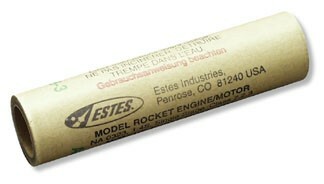 Just getting back into rocketry and picked an excellent “starter” rocket…..Looks and performs flawlessly….Use the engines indicated and you can’t go wrong….Thanks Estes, your products are still Great…..
Great rocket that did over 25 launches. Looked great on display as well. I’ll probably order this one for old times sake. Takes forever to set up but is an awesome flyer – buy it. I had the 1975 Interceptor that one was good. Im going to order this now will be back to tell all about it. The interceptor is a great rocket. the flights are very impressive on a B6-4. It came with a lot of decals. Putting the decals on requires patience though. Ordered rocket with C11-3 engines because packaging claims you can build the model with “B” or “C” rocket motors; not true. According to the instruction manual only C6-5 rocket motors can be used. Maybe this is a way for Estes to make more money by forcing people to buy a 2nd kit that can handle the diameter of a C11-3 engine…Hum? NOTE from Estes: Recommended engines listed on the package and on our website are B4-2, B6-4 & C6-5.